Last Thursday, a small group of local advocates gathered in Roseburg, Oregon to pay homage to Frank and Jeanne Moore. Frank is a WWII veteran who landed on the beaches of Normandy, and upon returning from his service settled with his wife Jeanne on the banks of the North Umpqua River. There the couple built the Steamboat Inn, which became a hub for local steelhead angling and conservation. In the more than six decades since the Moore’s have served as tireless advocates for the watershed’s salmon, steelhead, wildflowers, and wildlife. The impetus for the gathering last week was the recent signing into law of the John D. Dingell Jr. Conservation, Wildlife and Recreation Act. The Frank and Jeanne Moore Wild Steelhead Special Management Area Act—a bill long championed by Oregon congressional delegates Rep. Peter DeFazio and Senators Ron Wyden and Jeff Merkley and by Dean Finnerty, northwest regional director for Trout Unlimited’s Sportsmen’s Conservation Project and longtime friend and fishing partner of the Moore’s—was part of the Dingell Act’s package. The Special Management Area designation protects nearly 100,000 acres on Steamboat Creek, one of the major spawning tributaries for summer steelhead and spring Chinook of the North Umpqua River. 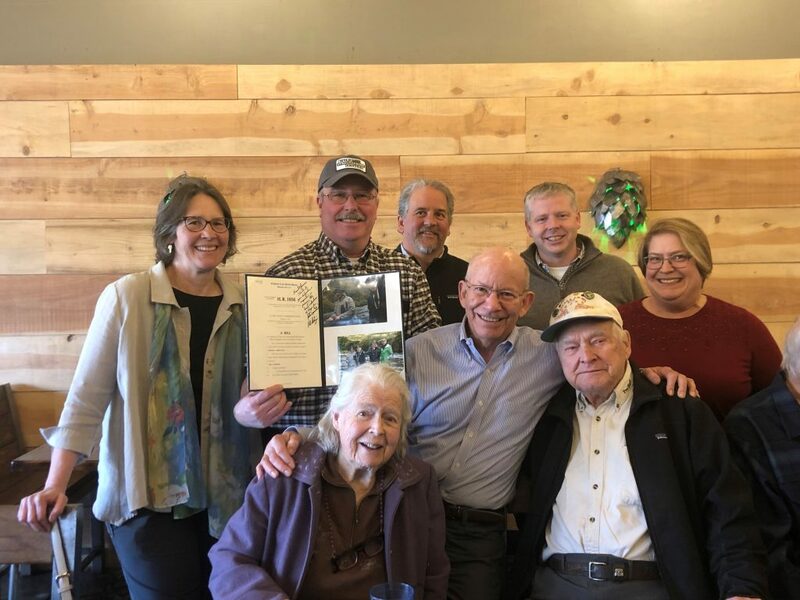 At the table in Roseburg were folks who had put a shoulder to the wheel to honor Frank and Jeanne through the creation of the steelhead sanctuary. Those in attendance included Rep. DeFazio and his district director Dan Whelan, Finnerty and his wife Brenda, Oakley Brooks and Sarah Laborde of the Wild Salmon Center, Greg Haller of Pacific Rivers, Tim Goforth and Jeff Dose of the Steamboaters, Tim Vredenburg of the Cow Creek Tribe, and a number of Frank and Jeanne’s friends and family. Over beverages from Roseburg’s North Forty Beer Company, Rep. DeFazio and the others present lauded Frank and Jeanne for their tireless advocacy for conservation of Oregon’s natural wonders. Many also took the opportunity to acknowledge the hard work put in by conservation groups and local advocates to make the Frank and Jeanne Moore bill a reality. Finnerty, who guided on the North Umpqua for 26 years and served a distinguished career with the Cottage Grove Police Department before coming to work for Trout Unlimited, has known Frank and Jeanne for more than twenty years and made it his mission to see the bill passed into law while the Moore’s (both in their 90s) were able to see the area permanently protected. It’s not often that a conservation victory as big as the Frank and Jeanne Moore Wild Steelhead Special Management Area is passed into law. It’s even more rare to be able to honor two individuals who have done so much for the wild fish and wild places we cherish. 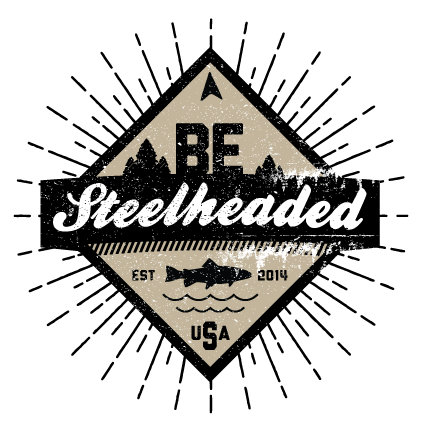 The gathering last Thursday was a reminder that the steelhead angling and conservation communities really matter in keeping our last, best habitat productive—and that there is no substitute for strong leadership from local advocates. Frank and Jeanne Moore are archetypes for such leadership. Trout Unlimited salutes them, and all of those who helped honor two Oregon treasures and the magnificent river they’ve spent their lives protecting.